Today, no one can deny the importance of consumption to the American economy. By some counts, consumer spending constitutes over seventy percent of our GNP, and the countdown to special winter shopping days—notably “Black Friday” and “Cyber Monday”—has taken on a ritualistic quality. Especially during a recession, economists and journalists scour retail sales figures to monitor the pulse of the nation. As President George W. Bush suggested after 9/11, shopping even constitutes a form of patriotism: buying food, clothing, houses, and Christmas presents is not only about fulfilling one’s personal needs and desires; it’s also seen as a virtuous gesture on behalf of national health. Given the prominence of shopping in our national conversation, one might assume that the obsessive relationship to consumption is uniquely American. This is not the case. For well over a century, policymakers throughout the world have tried to figure out how “getting and spending” were linked to their country’s well-being. A striking setting for this preoccupation was Nazi Germany. When we consider a society bathed in propaganda and violence, the rather mundane act of shopping does not immediately come to mind. Yet the Nazis made it clear that they didn’t only want to build an “Aryan” nation and to colonize Europe. They wanted to build a rich country, indeed one marked by better consumer opportunities and a higher standard of living than even the United States. Of course, it doesn’t come as a total surprise that the Nazis thought a lot about consumers. After all, the Volkswagen began as Hitler’s pet project to supply affordable mass transportation to the population (provided one was not a Jew, a Roma, a homosexual, or in any other way racially, mentally, or physically “compromised”). And the Nazis built much of their success on the recovery of the economy after the Great Depression. But most people don’t realize that hundreds of everyday products—many of which we still purchase today—occupied an important role in Nazi society and ideology. When we buy laundry detergents or over-the-counter drugs—like Persil soap or Bayer aspirin—we are buying the merchandise of German companies that, in the 1930s and 1940s, marketed their goods throughout the Third Reich. 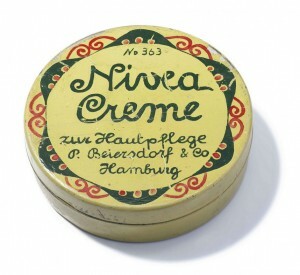 Effective detergents and pharmaceuticals were supposed to maintain the health and purity of the German “Volk.” When we buy Sanka coffee, Knorr soups, Nivea creams, or Hugo Boss menswear, we are buying goods whose stories are intertwined with Germany’s tortured past. What did the commercial landscape look like in Nazi Germany? Aside from the omnipresence of newspaper and magazine ads, companies showed commercials and mini-documentaries about their merchandise before a feature film. Celebrities like boxer Max Schmeling did product plugs for decaf coffee, while consumer researchers went from house to house asking people about their favorite hair tonics, handbags, and hosiery. And well-attended trade fairs and exhibition pavilions were filled with the stuff of everyday modern life: plastic goods, refrigerators, cars, toys, and clothes. The Nazis did not tolerate all forms of commerce. Billboards were limited, radio ads were banned, and as Germany went on a war footing, quality products became increasingly rare and marketing regulations became stricter. But the general semblance of normality in the prewar marketplace—and the promise of future abundance during the war—did allow people to throw their lot behind the Nazis and, in an indirect way, enable their crimes. And when well-known companies aided Nazi criminality—through the use of forced concentration camp labor—they did so not per se in the name of racial engineering, but in the name of selling cars, clothing, and aspirin. 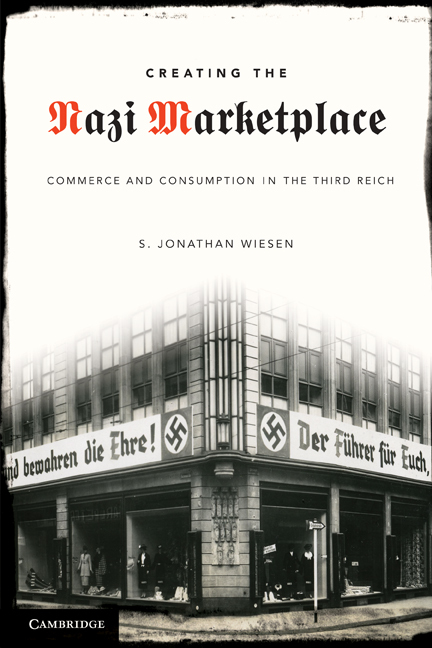 In the end, mass consumption remained a key component of the Nazi vision until the end of World War II, when the dream of a well-provisioned Aryan super-race collapsed in the rubble of Germany’s towns and cities.